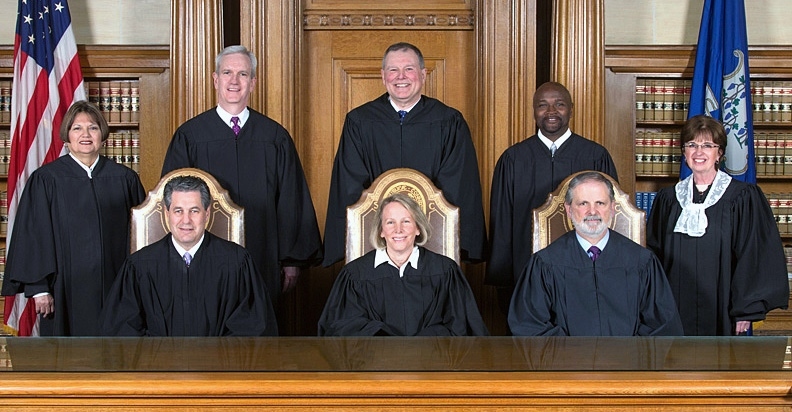 Connecticut’s Supreme Court has decided that the state cannot execute the eleven convicted killers sentenced to death awaiting punishment on Death Row. 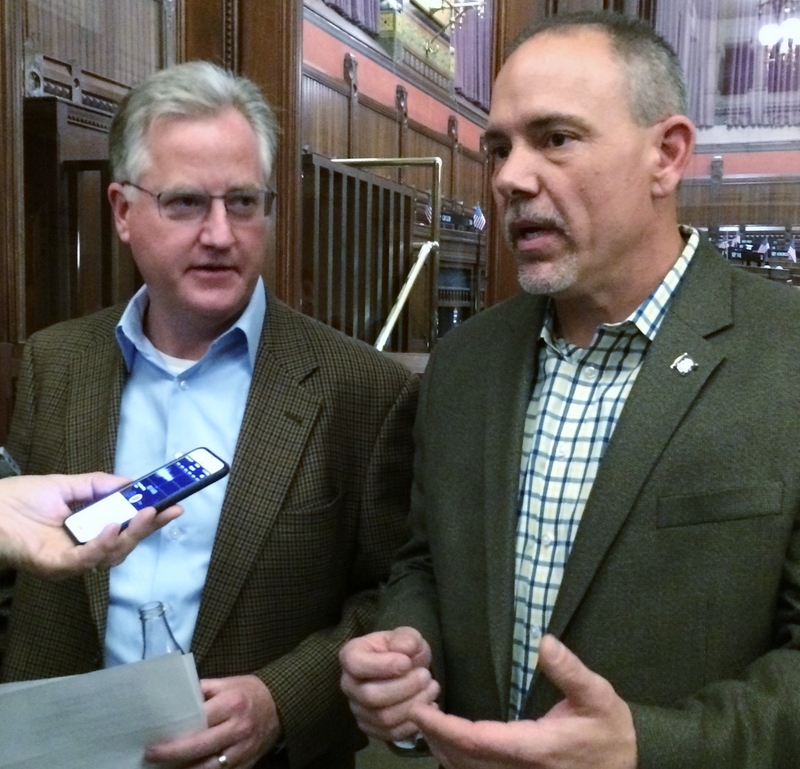 Chief State's Attorney Kevin Kane ran up a white flag shortly after the decision had been rendered. According to a story in the Hartford Courant, Mr. Kane said the eleven Death Row inmates would be re-sentenced to life in prison without benefit of parole. Casey Chadwick’s friend opened the door to a closet on June 15 a little less than a year ago, he found her body stuffed in a dark corner drenched in blood. At the trial of Jean Jacques, an illegal Haiti alien, a medical examiner would later tell a jury how she died. Jacques had slashed and stabbed Ms. Chadwick 15 times. A severed jugular vein and carotid artery caused her to lose 40 percent of her blood within seconds of the attack. Jean Jacques was convicted of murder on April 11 and will be sentenced June 6 by Judge Barbara Jongbloed. The convicted murderer faces between 25 years and 60 years in prison. 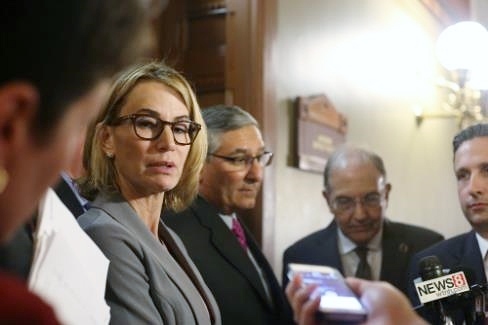 Connecticut’s Democrat dominated General Assembly a few years ago abolished the state’s death penalty for all capital murder crimes, however heinous. As Donald Trump approaches the finish line, the Republican National Convention that almost certainly will nominate him for the presidency, Democrats will be drawing their long knives out of their rhetorical scabbards in defense of Hillary Clinton. 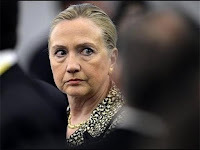 A cautionary note: At the risk of disappointing those on the Bernie Sanders presidential campaign wagon, this column assumes that Hillary Clinton will emerge from the Democratic Nominating Convention with the presidential nomination in her teeth. Miracles do happen, cows are sometimes born with two heads, but rational assumptions must sometimes be made in this wicked world. In any representative system, there will always be what the French call “frisson” between an administration and its rank and file members, particularly in democratic systems in which the administration is regarded as a distributive mechanism in which the will of the rank and file is supposed to be faithfully represented by its elected or appointed representatives. In national elections this year, both socialist Democrat Bernie Sanders and Donald Trump – a sometime Democrat, sometime Republican – have exploited the gap that occasionally opens up between the electorate and the leaders of both political parties. But the gap is present in all representative organizations – including public worker unions in which union administration may occasionally wander from its democratic mandate. Mr. Aresimowicz is on a fast track towards becoming the next Speaker of the House in the Democrat dominated General Assembly. If successful in his venture, he will be replacing Brendan Sharkey, a small business owner who recently announced he is calling it quits. Mr. Sharkey has been put through the wringer during the last few budget sessions, which have been, to use a polite word, fractious. “The moderate eastern Republican fell victim to Republican extremists from within, such as William F. Buckley, and the party started to disintegrate,” so says former US Senator and Governor Lowell Weicker, who lost his position in the Senate when he was challenged by then Attorney General Joe Lieberman. Mr. Lieberman, a Democrat of long standing, was not an extremist conservative; neither, for that matter was Bill Buckley. But let us be generous and allow Mr. Weicker his point, for purposes of examination. 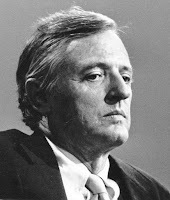 What practical effect, if any, has Mr. Buckley’s conservativism had on Connecticut, which is part of the eastern seaboard? The honest answer to the question would be next to none. If politics in Connecticut were a dog, conservatives would represent the tip of the tail. And tails wag dogs only in the fevered imagination of ideologues. All past Republican Party members of Connecticut's US Delegation – Nancy Johnson, Rob Simmons and Chris Shays – were fiscal conservatives; all were “socially moderate” politicians, like Mr. Weicker and the late New York Senator Jacob Javits, Mr. Weicker’s ideal politician. And all the fiscally conservative, socially moderate Republicans who used to serve in the US Congress have been swept away by the onrushing tide of progressivism, which may briefly be defined here as Weickerism Plus. Nearly all the members of Connecticut’s US Congressional Delegation self-identify as progressives, none of whom have put into practice during their tenure in Congress the luminous prescriptions offered by either former President Ronald Reagan or Mr. Buckley or, for that matter, former President John Kennedy. 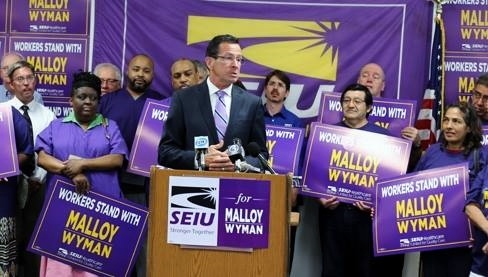 Dannel Malloy, Chairman of the Democratic Governors Association and the second least popular governor in the United States, has produced, in conjunction with Senate President Martin Looney and Speaker of the House Brendan Sharkey, the third least popular budget in Connecticut. Donald Trump, the Attila the Hun of GOP politics, is not everyone’s cup of tea, and much has been said about him in what he might call, disdainfully, the Main Stream Media. Mr. Trump’s notion that libel laws should be “loosened up” likely did not go down well with the editorial board of the New York Times. 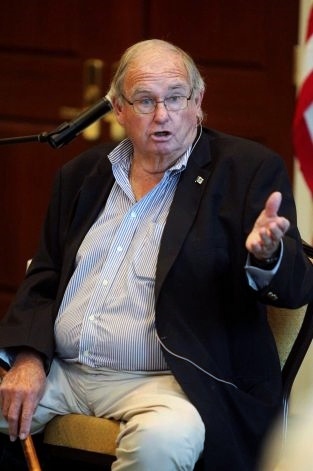 Former Governor Lowell Weicker has been dragged out of mothballs by Neil Vigdor in The Connecticut Post to offer comment on the lamentable and Weicker-like Donald Trump. “Estranged Republican” is a delicate touch. During his last year in the U.S. Senate, Mr. Weicker managed to compile an Americans for Democratic Action (ADA) rating twenty points higher than that of U.S. Senator Chris Dodd. The abrasive Republican continually abused his own party as a foil to ingratiate himself with Democrats, who outnumber Republicans in his state by a two to one ratio, a case of mathematics determining political orientation. 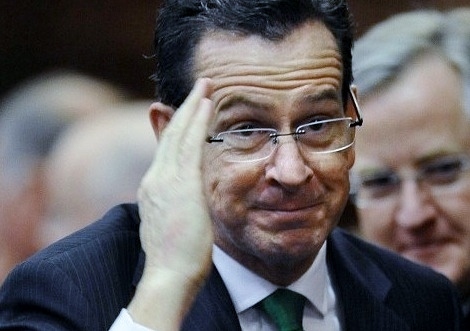 After multiple batterings, the Connecticut GOP at long last ditched Mr. Weicker in favor of then Attorney General Joe Lieberman. Enders Island is located a few miles from Mystic Seaport. 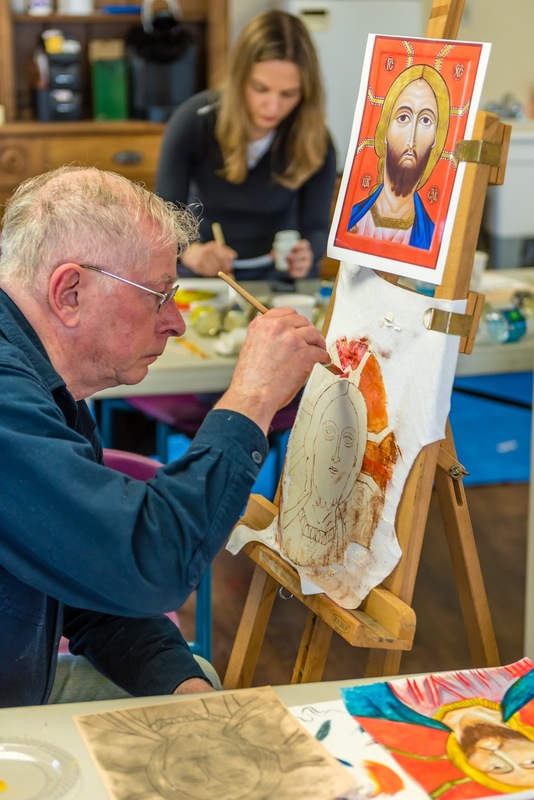 In the first week of May, I spent a rainy eight days there laboring, with some success, to produce three mural frescoes under the guiding hand of Chady Elias, a masterful religious artist who is the Vice President & Dean of Administration at Sacred Art Institute Enders Island and the Adjunct Professor of Sacred Art at Holy Apostles College & Seminary in Cromwell, Connecticut.